Jeff Bridges: Just move to Louisville, Dude. 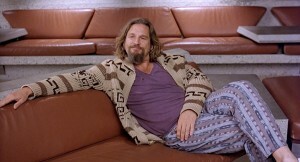 The city already reveres the actor for his starring role as the lovable slacker in “The Big Lebowski” who just wants his rug back, man, and has paid tribute to the cult 1998 Coen Brothers film since 2002 with the annual Lebowski Fest. 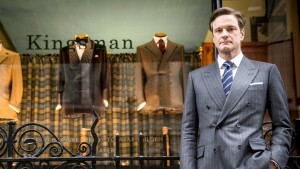 Now comes word that Bridges will play a starring role in “Kingsman: The Golden Circle,” the sequel to the 2014 film “Kingsman: The Secret Service.” And along with original cast members Colin Firth and Taron Egerton, this film will feature newcomers Channing Tatum, Halle Berry, Julianne Moore — and Old Forester. In the first film, a streetwise kid named Eggsy (Egerton) was recruited for the Kingsman, a super-secret spy organization going up against Samuel L. Jackson’s crazy billionaire who wanted to control the world through technology. Many, many people died (including Colin Firth’s character, but maybe he’s in flashbacks? ), but in a frenetic comic book sort of way, with lots of self-deprecating humor. In “Kingsman: The Golden Circle,” our heroes’ headquarters are destroyed and the world is being held hostage. Their journey leads them to the discovery of an allied spy organization in the U.S. called Statesman, which is based, of course, in Louisville, Kentucky. While the Kingsman spies hide behind a front of being master tailors, the Statesman members act as master distillers to hide their true identities. The two organizations work together to save the world. None of the film was actually shot in Louisville, but the city is mentioned multiple times and it name will be featured on the Statesman distillery bourbon barrels. 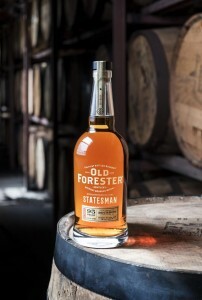 In addition to making a bourbon especially for the film, Old Forester — a brand that’s been around since 1870 — gave input on set and prop design.